The deadline is approaching for the Bruce Jesson Foundation journalism prize competition, offering funding for high-quality critical journalism. The 2013 competition opened as recent winner Max Rashbrooke unveiled a new book supported by his Jesson award: Inequality: A New Zealand Crisis – and what we can do about it (Bridget Williams Books, 2013). 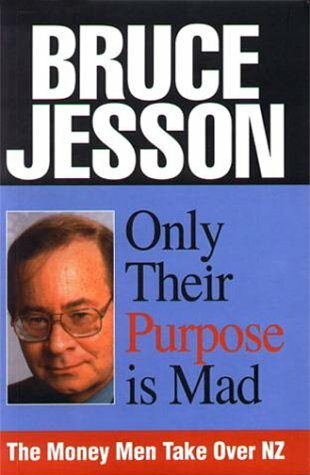 The Senior Journalism Prize is self-nominated and invites applications for an award of up to NZ$4,000 to assist a project aiming to produce the kind of critical and analytical journalism exemplified by Jesson’s work. The Emerging Journalism Prize has a fixed emolument of $1,000 and recognises “outstanding recent work by New Zealand print journalism students.” It is nominated by the heads of New Zealand journalism schools or journalism programme leaders for published work by student journalists. Details are available by clicking the ‘Awards’ tab at the top of this page. Applications and nominations (including copies of nominated work) can be submitted online, or mailed to Dr Geoff Kemp, C/- Political Studies Department, University of Auckland, PB 92019, Auckland (g.kemp@auckland.ac.nz). The DEADLINE for receipt of nominations is 5pm, Monday, September 30, 2013.